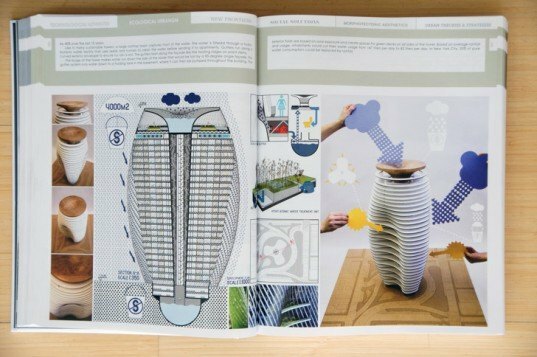 BOOK REVIEW: EVolo Skyscrapers - a Reference Manual on the Future of Architecture? 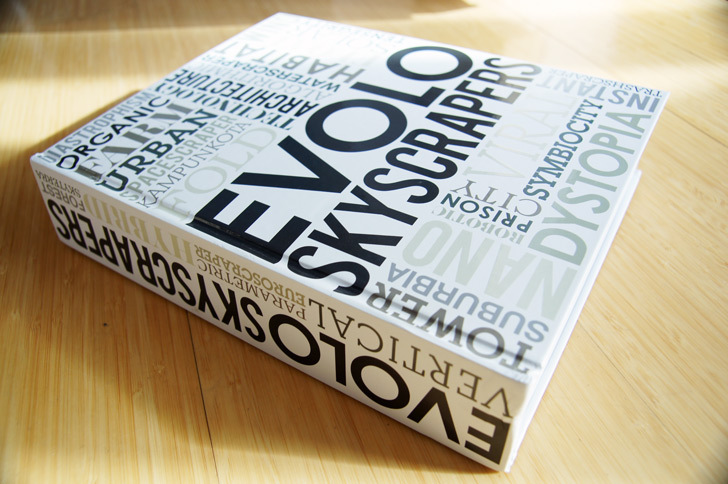 EVolo Magazine has made a name for itself with its annual skyscraper competition, which started in 2006. Since then there have been over 4,000 submissions arriving from across the planet, seemingly covering just about every imaginable design parameter when it comes to vertical construction. Their book, EVOLO SKYSCRAPERS, is a selection of 300 of the best projects spanning six chapters and a hefty 1,223 pages. If you’re an aficionado of futurism in building design, then this is the decisive book on one of the largest scale human interfaces with the environment — the skyscraper. To be fair, I am a regular contributor to eVolo Magazine and the website, so I thought I knew what to expect. The book is broken in to six sections which broadly cover the design missions of various proposals including: Technological Advances, Ecological Urbanism, New Frontiers, Social Solutions, Morphotectonic Aesthetics, and Urban Theories and Strategies. Each chapter is filled with often beautiful, sometimes jarring ideas and images of what our world could look like. The depth and breadth of the book is like a reference manual to the future, where anything can seemingly happen. But its the level of effort the submissions took to re-visualize the built environment that surprised me. The team’s description of the buildings is set above the project boards, which helps in interpreting the kaleidoscope of designs. Often, text within the boards further explain the skyscraper’s design elements and purpose. It can be easy getting lost in the nuances of the proposals, which are typically rendered in great detail. These project proposals are novel approaches to solve some of mankind’s most vexing problems. They often are spilling over with designs which unfold and grow, inflate or inject, absorb and evolve. The Ecological Urbanism section has many projects that clean the air or water, provide vertical gardens and habitat, or fuel a society with clean energy. In fact, most of the projects chosen for the book have environmentally positive attributes at their core. The book sells for $120 and is in a limited edition of 500 copies. EVolo Magazine has made a name for itself with its annual skyscraper competition, which started in 2006. Since then there have been over 4,000 submissions arriving from across the planet, seemingly covering just about every imaginable design parameter when it comes to vertical construction. Their book, EVOLO SKYSCRAPERS, is a selection of 300 of the best projects spanning six chapters and a hefty 1,223 pages. If you’re an aficionado of futurism in building design, then this is the decisive book on one of the largest scale human interfaces with the environment -- the skyscraper.